Minjoo Ham is a type designer, typographer and graphic designer from South Korea. She studied graphic design at the Seoul Women’s University (2005-2009), where she discovered her interest in type design. After graduation, she worked for several years at Seoul’s successful S-Core (CoreFont) foundry as a type designer. 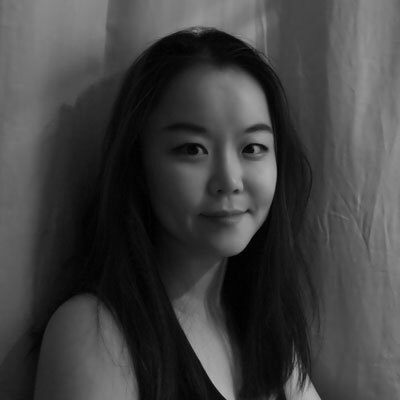 In 2014-2015 she completed the TypeMedia master course at the Royal Academy of Art (KABK) in The Hague, Netherlands, concentrating on research and type design of a Latin and Hangul multi-script. She then moved to Berlin, Germany, where she works with Fust & Friends, as well as producing multi-script font families for corporate clients. Hangul is the writing system that is unique to Korean, having been designed by King Se-jong 571 years ago. In the age of globalization, we are in need of multi-script fonts to produce multi-language documents. Hangul will often be combined with Latin, the most familiar script. How can a hangul typeface be connected to its equivalent latin, without losing its inherent nature?